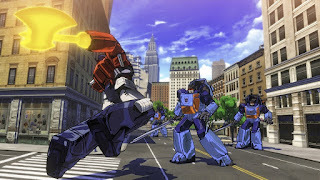 Transformers - A cartoon that I and many others alike grew up with. We had the toys, clothes, VHS tapes, a decent PS2 game (Transformers: Armada), some more not so decent games and now we have this. 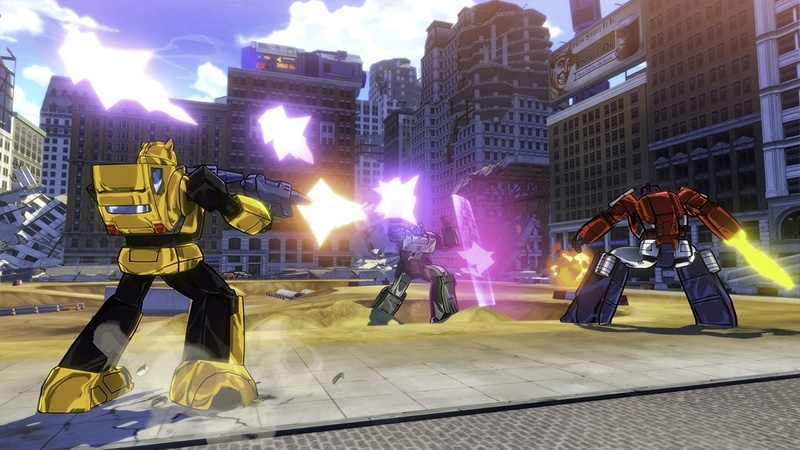 Transformers Devastation is being Developed by Platinum Games and published by Activision. Kenji Saito (most famously known for directing Metal Gear Rising: Revengeance) is at the helm and is undoubtedly responsible for the titles authentic look, feel and speed, though I can't help but wonder if Hideki Kamiya is acting as a head consultant for the core gameplay and combat mechanics. Could this in fact be Devil May Cry in disguise? Jokes aside, I'm not ashamed to say I'm very much looking forward to this one. It's been a good while since I had a decent Transformers fix and the look and feel of what we've seen so far seems impressive. 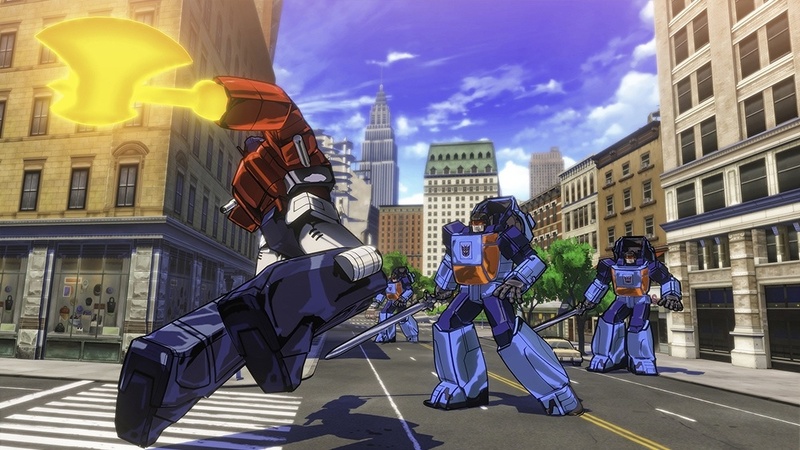 The cel-shaded graphics look incredible and it looks set to remain true to the original Generation 1 cartoons I knew and loved during my earlier years. I'm not so sure I like the fact you can wheel spin and side-swipe in mid-air in vehicular form, but aside from that the combat looks pretty fast, satisfying and on the surface, pretty deep. 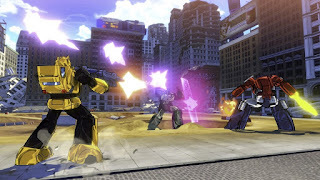 Bumblebee, Grimlock, Optimus Prime, Sideswipe and Wheeljack are all playable here and each look to have their own unique combos and movesets. Whether or not you can unlock more moves through story progression is yet to be determined, but the transition from punching, to running over and gunning down your opponents seems to be pretty fluid and flawless.